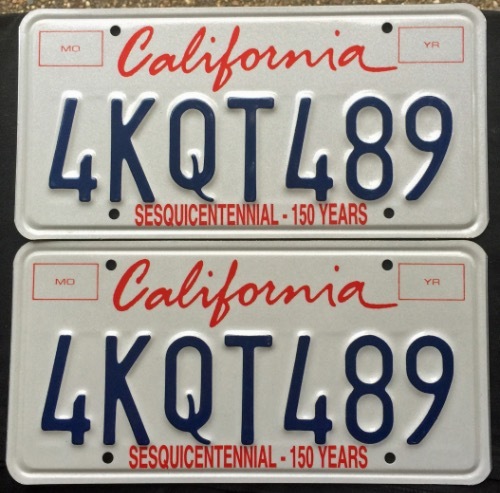 California Sesquicentennial Lipstick PAIR License Plate in MINT condition. ALL plates on this site are for collection or display purposes ONLY, not for use on a motor vehicle. These are a great addition to any collection. All prices are in US Dollars. Any questions please ask.